Ancient ruins span centuries to excite the imagination and fuel travel plans. The very best make you feel young, trifled, and utterly amazed by the architectural spectacles of the ancients. Among the many startling ruins that still exist today, a few stand out as the trip of a lifetime. My trip to Ayutthaya in Thailand back in 2008 made me feel like that. I feel young as I wander on its ancient ruins. I feel trifled as these gigantic structures could easily nip you helpless with just one tremor. And I was left utterly amazed on how these structures survived the ravages of time and still stand proud and strong amidst all elements that are thrown their way. Ayutthaya used to be the capital of Thailand for almost four centuries. It flourished from the 14th to the 18th centuries, during which time it grew to be one of the world’s largest and most cosmopolitan urban areas and a center of global diplomacy and commerce. Ayutthaya was strategically located on an island surrounded by three rivers connecting the city to the sea. This site was chosen because it was located above the tidal bore of the Gulf of Siam as it existed at that time, thus preventing attack of the city by the sea-going warships of other nations. The location also helped to protect the city from seasonal flooding. At present, it is one of Thailand’s major tourist attractions. Many ancient ruins and art works can be seen in a city that was founded in 1350 by King U - Thong when the Thais were forced southwards by northern neighbours. During the period of Ayutthaya being the Thai capital, 33 kings of different dynasties ruled the kingdom until it was sacked by the Burmese in 1767. Ayutthaya is about 76 kilometers north of Bangkok and boasts numerous magnificent ruins. Such ruins indicate that Ayutthaya was one of Indo - China’s most prosperous cities. Phra Nakhon Si Ayutthaya Historical Park, a vast stretch of historical site in the heart of Ayutthaya city, has been included in UNESCO’s list of world heritage since 1991. Thou we are privileged to visit ancient ruins such as Ayutthaya, such privileged should come with responsibilities – that is we need to practice responsible, respectful and considerate tourism in order to protect the place so that the children of our children van still visit and enjoy the place. 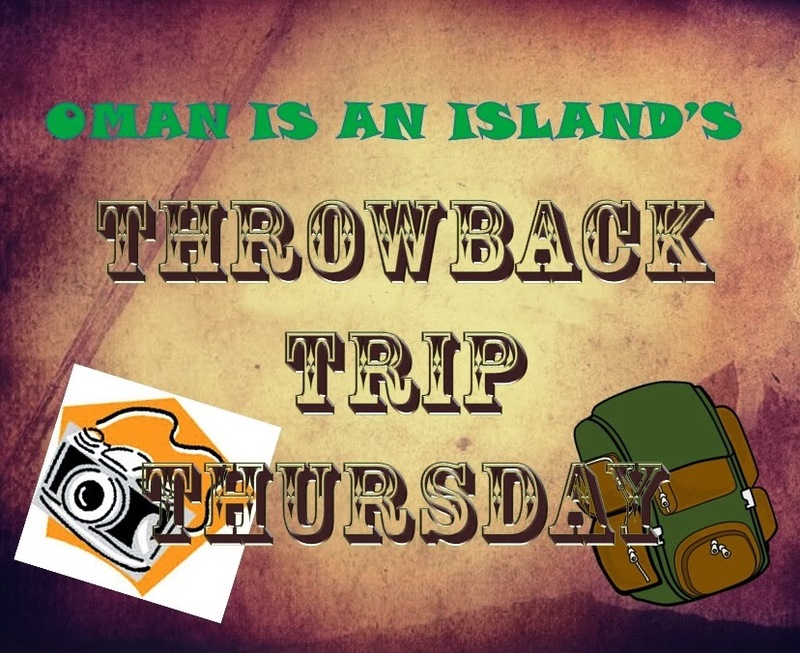 This is the first post for the year on my new series Throwback Trip Thursday where I look back on some of my favorite trips. I hope to do at least one post a month preferably every last Thursday of the month. Hope you enjoy this series for I had a fun time reminiscing about my experience on the place. Heard from the news that it is not safe to go to Thailand right now so these photos are the next best thing than going there. Enjoy na, safe pa. Thanks Vanessa. No plans of going there in the near future. Once is enough for me as of now. Ang ganda ng mga temples buti na lang inaalagaan nilang mabuti. I agree. That is what's lacking here in the Philippines - the proper preservation of heritage and historical sites. Main reason is that our places lack the necessary funding to restore our historical places. History, as I was always saying, always fascinates me. Ruins of something great hungers me more to book a visit and see it for myself. I've wondered - that maybe - architectural magnificence of the past are more complex and grand than what we have today - just my two cents. The complexities they have are more amazing that the modern ones who are just aesthetically designed but cannot stand alone comes nature disasters. True to what my above statements say are the age-old yet still standing man-made wonders of the world. This post of your Sir Oman awakened again the medieval person in me. As always, your post entices me and the way you chronicle it doubles my reading and seeing pleasure. Thanks Jay, We all see history through the prism of our own experiences. I agree with you in that architectural magnificence of the past are more complex and grand than what we have today considering the materials that they have then. As I come to think of it , at it's best, these ruins are like stories of ourselves. How we have dealt with the problems and challenges that we face everyday and that we either succeed or succumb to these problems and challenges. It's something that we can study and learn from. pa nose bleedan ba to? I have been to the ruins in Cambodia and it is almost similar to the ruined temples you have shown here. I really enjoyed seeing these ruins because they tell their own stories that no books can capture. Hi Vinzent, I have never been to Cambodia and if my schedule permits, I might be going there this year. Still keeping my fingers crossed. I'm late visiting your blog, Oman, but I'm so glad I didn't miss it!!! The temple is incredible and so is your capture!! I would love to visit there, but your pic is the next best thing!! Have a wonderful weekend!! Thanks Sylvia, give it a month or two before you visit the place because Thailand is in political turmoil at the moment and it may not be safe to travel there yet. We all need to heed caution. But yes, the temples there are amazing. If there's one place I'd love to go to, it'd be Thailand. I have a lot of my working friends there, in fact most of them are like family to me, and I'd love to visit them when I got the money and the time. I agree, Thailand is a lovely country to visit but if I go back there, I would probably visit Phuket and Krabi. How time flies. I remembered that you have featured this place in your blog several years ago. It's nice to look back now and share this place again in your new TBT meme. Congratulations. I am not too familiar with Ayuthaya but I do now some popular ruins like Cambodia and the Terracota Soldiers of China which I have seen in some blogs. This will be an additional attraction for Thailand. Ayutthaya has long been there and has been an attraction of its own but because of its proximity to Bangkok, it is a wise decision to include this trip when you are traveling in Bangkok. I have never been to Thailand! Ugh! But I want to see these kind of places too. Someday I will. :) More travels for you.